If you want to get a lot of exposure for your brand, you would be smart to use Facebook due to just how many people are on Facebook these days. You can promote your fan pages and get lots of visitors in various ways, but you should always be searching for the very best way. Optimize your fan page for the major search engines and you’ll see targeted traffic coming your way at no cost. The good news is that most fan pages aren’t optimized at all, and so you already have a leg up on the competition. Here are three SEO marketing techniques that really work for optimizing your Facebook page so that you can get more traffic. Make sure you make use of the most important area of your Facebook page, the info tab, as you’ll want to include your keywords and links in that area. The info tab should be where you put information about what your page is intended to do, and metadata related to your page in this area has a great effect. That’s why you will always want to use these fields to insert your keywords/phrases and links to your other web pages and social marketing profiles. This will increase your chances of having your fan page ranked better in the search engines. Your fan page’s live stream should include direct links as well. Updating your status message often with links to the fan page and to other websites that are related to it can also grow the link score of your fan page. 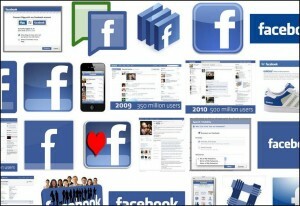 It can also help Google to boost and raise the popularity of your fan page. Just keep in mind that you need to do this in a moderate fashion; overdoing it will label your site as spam. The main goal of your fan page should be to provide people with good information as well as impressing the spiders for the search engines. Lastly, make sure you are not using a generic landing page with your Facebook page. Since Facebook gives you the ability to customize where your traffic will land, make sure you use it. This will help you get higher in the search engines, too. This is why it is important to make sure your landing tab is made according to your target audience, and you must give them a call to action. Give your new visitors more than one reason to join your page. Don’t just let people land on your wall and then not have anything about your product or brand. This means you want effect anyone who comes to your page for only one time. All in all, Facebook is a social network that is here to stay. You’ll have a hard time finding a more powerful tool than Facebook, with its millions of members, for growing your business. Providing a quality fan page is one way you can get highly targeted exposure for your business. When you add adequate search engine optimization to a quality fan page and product, your business is sure to soar. The more effort you put into promoting your fan page, the better will be the response you get. 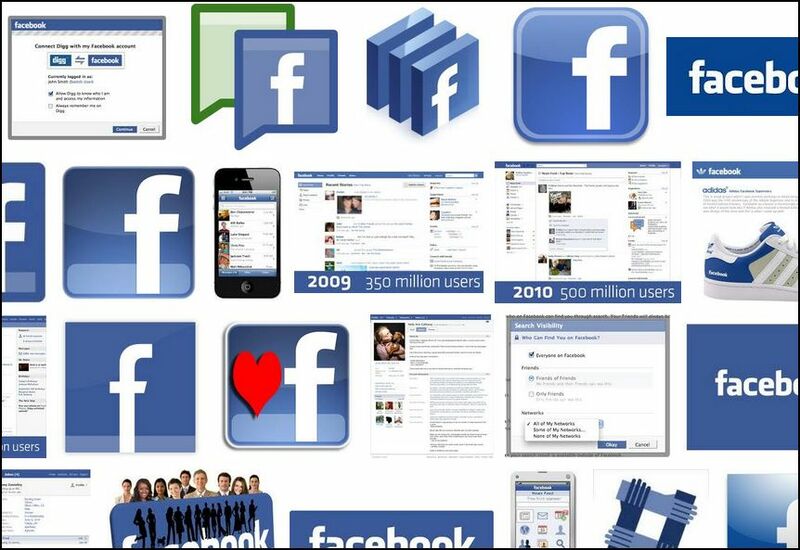 As a result of a good advertising system, Facebook is a leader of the world’s social networks. If you want to use this advertising platform, then you need to have a few things in mind, which we will be discussing in this article. Although a lot of people ignore it, the first advertising Facebook tip is to split test your ads. It’s important that you are getting good results because you don’t want to keep investing hard earned money into anything that is not working. Often you’ll find advertisers on Facebook launching an ad campaign spending not more than a $100. When they realize that they have bad results, they assume that something is wrong with the whole Facebook advertising platform. However, this is far from the truth. If your ad isn’t getting good response, then maybe you’ll have to work on fixing it. All successful advertisers understand that you must test a lot to get positive ad results. An efficient Facebook advertising tip would be us utilize CPM ads and not CPC to test your ads. Let’s face it, CPC or cost per click isn’t that effective when it comes to testing, because the majority of your testing is done on the landing page. This does not make testing beneficial. But you can do things better by testing your ads on CPM or cost per thousand impressions basis and look for those ads that require the lowest cost per click. Here you may obtain lower CPCs in relation to the CPC bidding model where you test and bid for clicks. But when you are utilizing a CPM model, it will make you see the ads that give the most positive outcome and lower the entire cost of your campaign. By utilizing CPM you will have the capability to tell what CPC rate you should be going for so that you can discover the ads with good results. Are you familiar with home page engagement advertisements? However this strategy is only for those who have that kind of budget available. You can use this space to show your videos, start and conduct polls or get prospects to take some kind of action. But remember, these ads are expensive, so you need to be careful and plan out everything beforehand. If you are really going for this medium then look around the guides and plans that are available – for instance Facebook Ad Power is very well thought of. In conclusion, Facebook is evolving just like other marketing systems. But the plus point right now is that it’s still in the early stages, which means it has a lot of potential. Facebook Ad Power is a program in internet advertising, released by acclaimed internet marketer Ryan Deiss. Ryan Deiss decided that online marketers needed a viable advertising alternative to Google Adwords, so he created Facebook Ad Power. The appealing thing about Facebook is that it’s one of the most highly trafficked sites on the internet, with millions of potential buyers, yet its advertising network is still relatively new and untaped. As this program has not been out for very long, it’s not easy to give a complete picture of the results. Most of the reviews out there use affiliate links to promote the product. We decided to see if it had earned its affiliate hype. If you want to advertise on Facebook, it will be very helpful to understand their policies about accepting or rejecting ads; Facebook Ad Power will explain all this to you. You really will appreciate this when you start creating ads for your campaigns. Many people simply write ads that they think are perfect, until they get sent back to them as unacceptable. Facebook Ad Power can show you how to write ads that Facebook will accept. Your advertising campaigns will go much smoother this way. This course is made up of a series of videos you can download, as well as an accompanying 30+ page PDF guide. With many internet marketing courses, all you get are videos. With only downside to videos is that you can easily miss something, and the only remedy for this is taking notes. Fortunately, Facebook Ad Power includes this helpful guide that you can easily flip through if you need to remember something. Most internet marketing products are sold through networks like Clickbank; this one, on the other hand, is being sold directly by the creator, Ryan Deiss. This made us a little reluctant to order it. As a rule, we like to purchase our courses and products through trusted channels. We wondered if there was a reason someone would not want to sell their course through the usual channels, like Clickbank. Once we took the course however, we were blown away. Whether or not Clickbank was involved no longer made any difference. By delivering on what he promised, Ryan Deiss proved that he can be trusted. You don’t have to worry that he’ll pocket your money without delivering the product. Advertising can be tricky. You can spend a lot of money in a short time if you aren’t careful. It’s not uncommon for people to pour lots of money into a campaign and only make a handful of sales for their efforts. When you can’t even make up the money you spend on your advertising you need to find a better way to put yourself out there. Facebook Ad Power will teach you how to do that. You can learn how to profit from Facebook’s quickly growing base of potential customers.